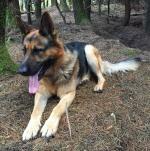 Ikc reg german shepherd (straight back working line ) : Serviced two litter so far. 1st litter of pups was... [more] German Shepherd Black Wicklow €300 German Shepherd in WicklowAvailable for stud ! Clyde/full bred maltesse : hi clyde is a very intelligent dog.great with kids... [more] Maltese White Galway €200 Maltese in GalwayAvailable for stud ! Taco : Stud service. 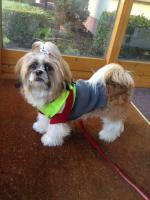 Taco is a very good Shih Tzu, very o... [more] Shih Tzu White Longford €150 Shih Tzu in LongfordAvailable for stud ! 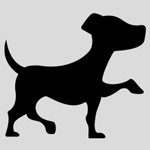 Otto : Border terrier at stud first time, comes from grea... [more] Terrier Brown Cork €200 Terrier in CorkAvailable for stud ! Atsu : Beautiful 2 years old Akita Inu now available for ... [more] Akita Brown Westmeath €700 Akita in WestmeathAvailable for stud ! Miniature smooth haired black and tan dachshund : Gilbert is available for STUD. Lovable, confident ... [more] Dachshund Black Wicklow €500 Dachshund in WicklowAvailable for stud ! 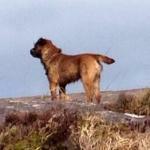 Yogi (yogi cashel) : Very friendly and active family dog. Loves swiming... [more] Labrador Brown Tipperary €200 Labrador in TipperaryAvailable for stud !